Ava dining chair in Cocoa color leg, Latte color Ropa fabric frame.. 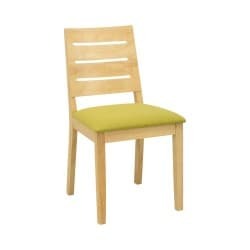 The elegant Ava mustard chair has a frame and legs in a natural finish and an Oasis color Delaine fa.. The elegant Ava espresso chair has a frame and legs in a ebony finish and a pistachio-coloured fabri.. 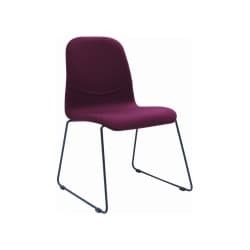 The elegant Ava espresso chair has a frame and legs in a ebony finish and a ruby-coloured fabric con.. The elegant Ava tangerine chair has a frame and legs in a natural finish and a tangerine fabric cont..
Avice dining chair in Cocoa color leg, Cream color PU Leather frame..
Avice dining chair in Natural color leg, Cream color PU Leather frame..